Columbine (Aquilegia sp) grows wild throughout Maine. 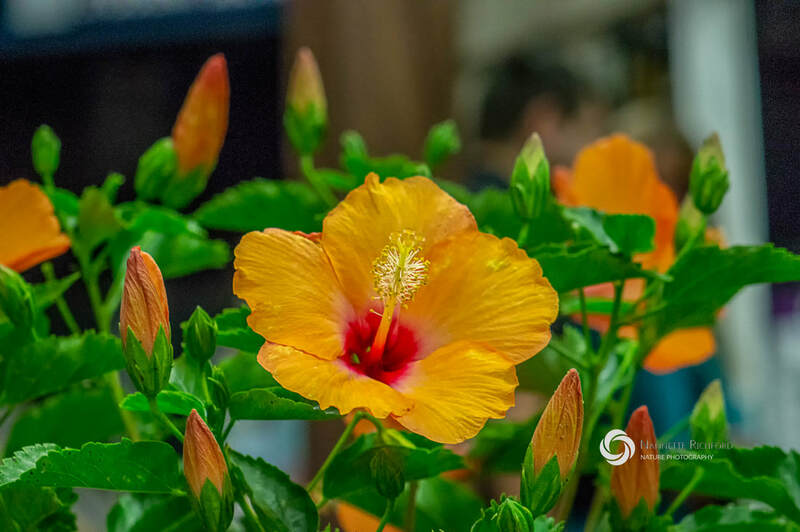 With approximately 60 to 70 species, you may encounter a variety of colors as well as slight variations in the size and shape of the blooms. All are bell-shaped with petals that curl upward and inward to form what some think resembles an eagle's talon. 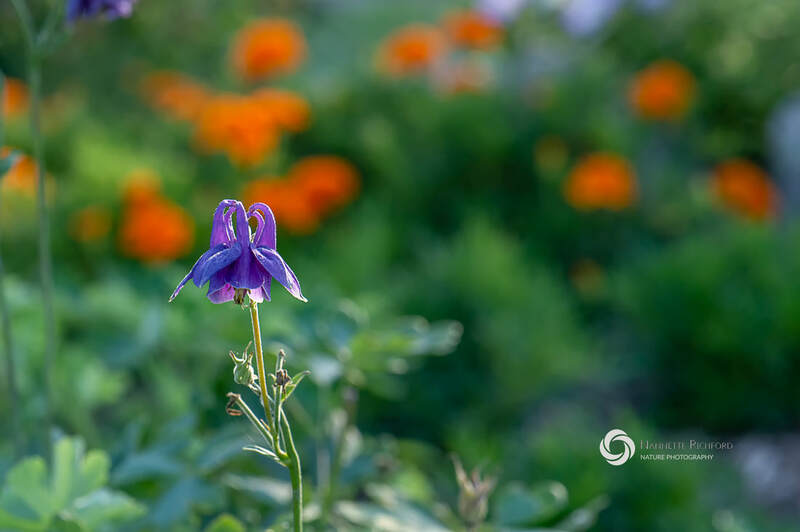 In fact, it is this unusual shape that likely earned the genus the Latin name of Aquilegia, a derivative of the Latin word aquila meaning eagle. In my area of Maine, columbines typically range in color from nearly white to shades of pink and purple. 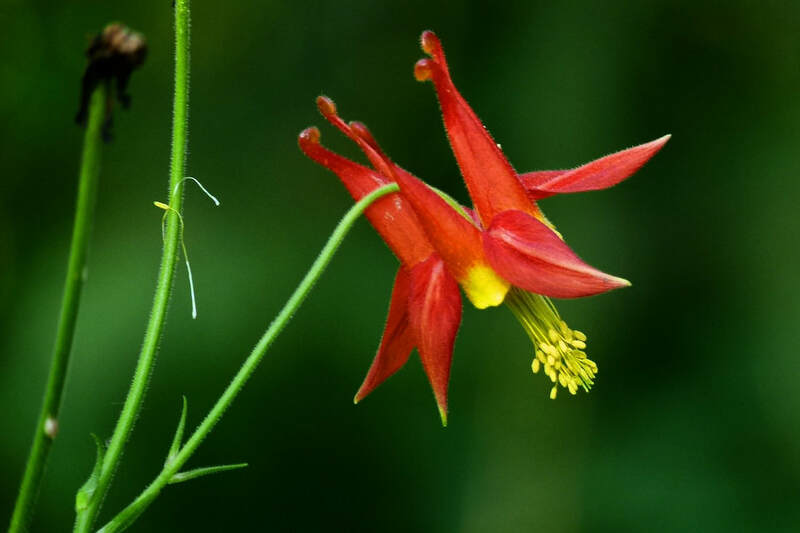 Red and yellow columbine can also be found in Maine. 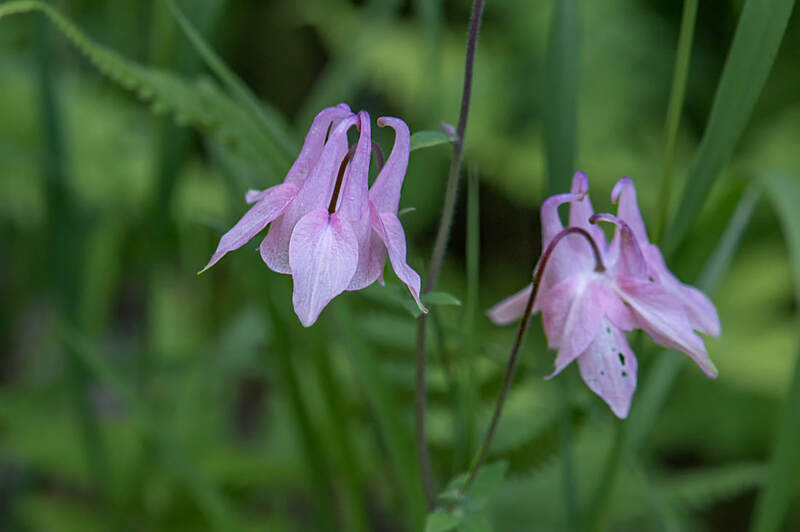 ​Columbines bloom in early summer and can be found along roadsides, along the edges of wooded areas or in partially shaded areas in meadows. 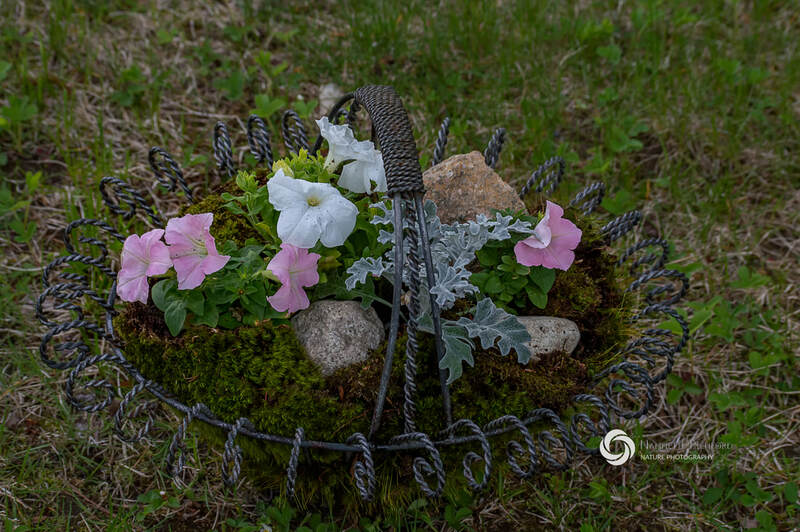 These striking flowers typically naturalize easily and are ideal for adding to wildflower gardens. The Trout Lily (Erythronium americanum) is one of the first wildflowers to appear in Maine each spring. These flowers can be found in ditches along the roadside or in areas that receive full sun in the spring. They are a favorite with children because they can be picked by gently pulling the flower from the soil. 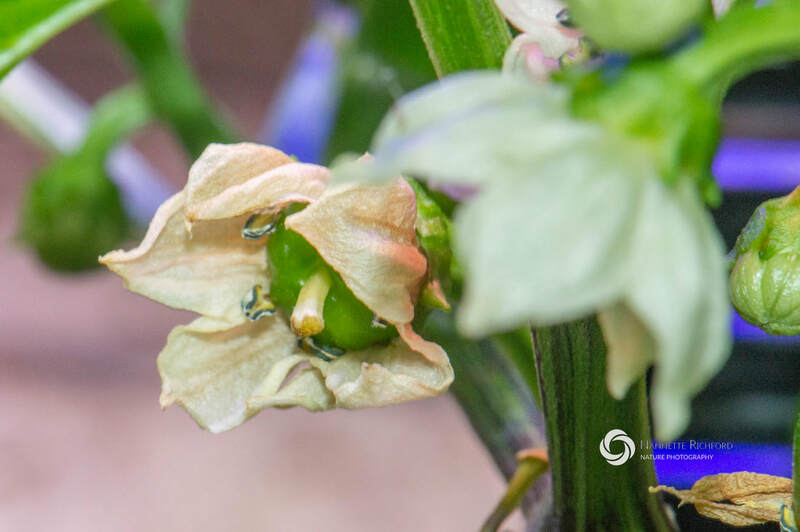 Its long root is white and tender and is often intact when the flower is pulled. I grew up called these flowers cowslips and did not learn until a few years ago that a cowslip is the name of a flowering plant in Ireland.and England. According to Plantlife, the European cowslip probably derived its name from frequenting areas around cow manure or places where cows had "slupped". It seems likely that when my ancestors encountered the Trout Lily here in Maine they called it a cowslip because it looked similar to the European wildflower. 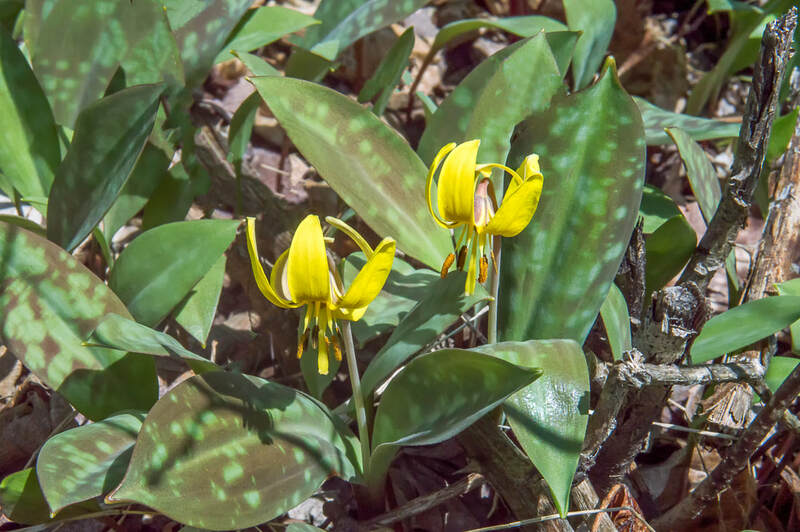 The Trout Lily earns its name from the mottled brown and green spots on its leaves that look like the sides of a brook or lake trout. Trout lilies produce two (sometimes three) mottled leaves. A single bloom appears from the center on a long slender stalk. Each bloom contains three sepals and three petals which all fold backwards to expose six brown stamens. Look for Trout Lilies in early May soon after the ground has thawed and ferns begin to appear. This photo was taken on May 7 in USDA plant hardiness zone 4. Until recently, if anyone had asked me what my favorite herb was, I would have said lemon thyme. But that was before I discovered lemon basil. This delightful little herb has sure given my love for lemon thyme a run for its money. 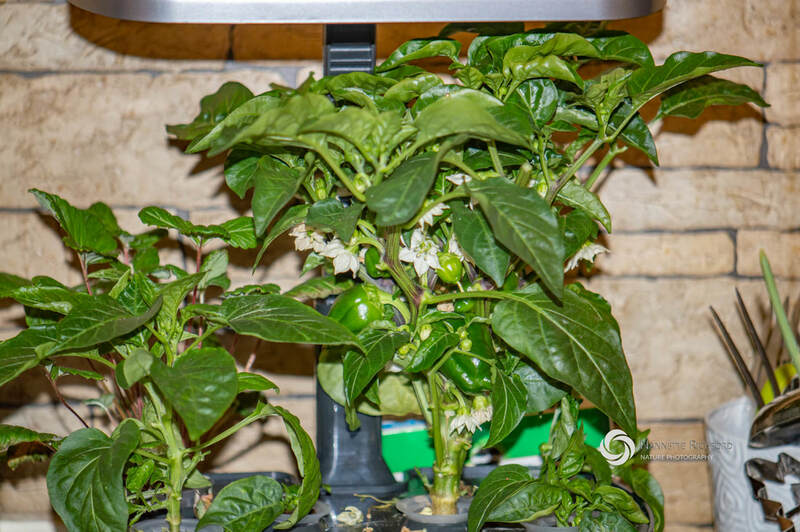 I grew some lemon basil in my Aerogarden this spring and was delighted to discover how flavorful and versatile it is. I have used it in eggs, on pasta, in stir fries and as a secret ingredient in other sauces and recipes. I haven't found anything yet that lemon basil doesn't enhance its flavor. It is great for making pesto. I made mine with lemon basil, walnut oil, chopped walnuts and Parmesan and it was wonderful. I have also been using it to make compound butter — or as we call it in my house herbed butter. I like it with chopped lemon basil and minced garlic. I pack it in jelly jars and store them in the freezer for later. This compound butter is great to spread on toast or to use to make garlic bread and is even tasty on veggies. You can use it soups or sauces any time you want to boost flavor. Need more info on making compound or herbed butter? Check out How to Make Herbed Compound Butter. for instructions. 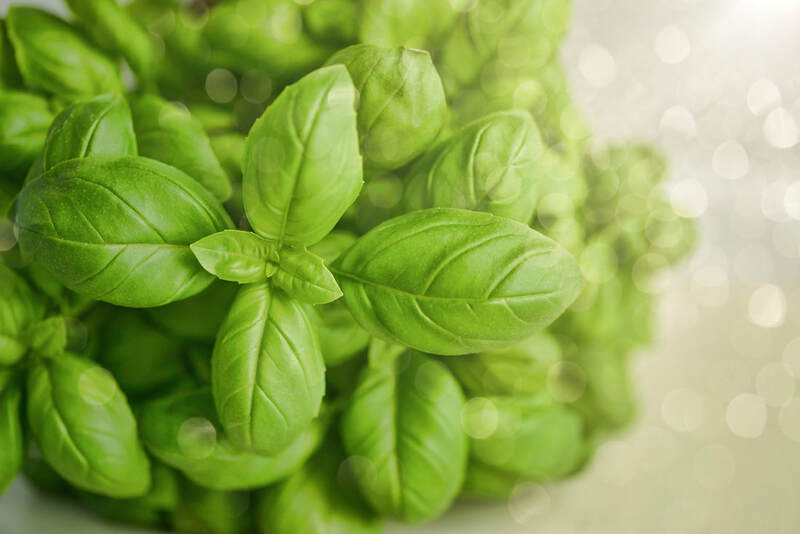 ​If you haven't tried lemon basil, add it to your list of herbs to grow this year. 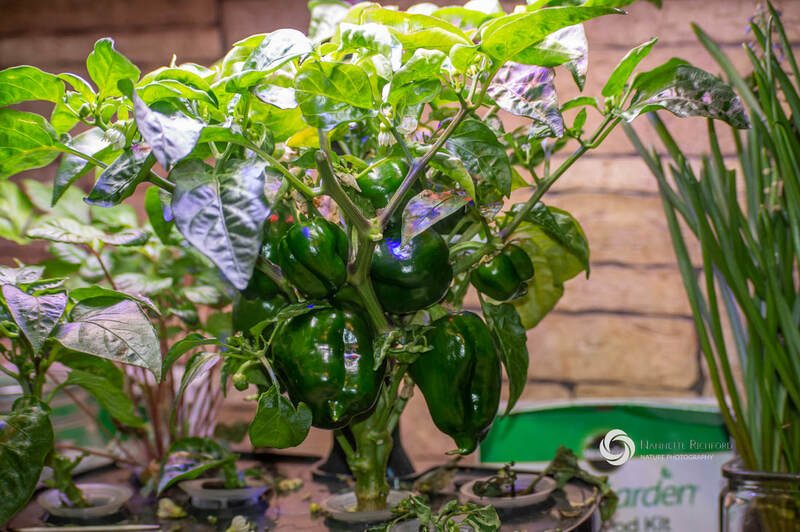 It germinates quickly and is easy to grow. Follow the growing guide for basil. Is it a Yellow Squash or a Golden Zucchini? Summer squash cannot be stored for winter. They must be eaten or cooked within a few days of harvest. 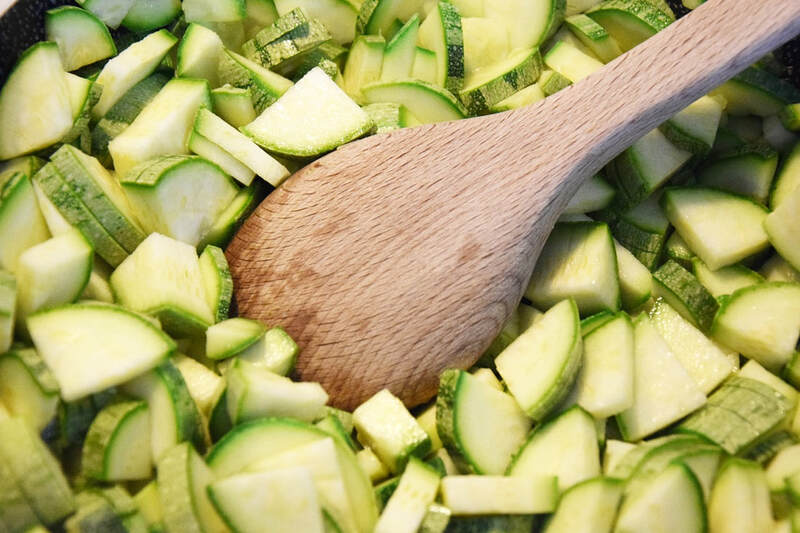 Both zucchini and yellow squash are technically summer squash, They have thin skins and tender flesh. They must be eaten or frozen within a few days of harvest to preserve their flavor and texture. Here in Maine, we tend to refer to the yellow straight neck or crookneck squash as summer squash and simply refer to zucchini as zucchini. This works well until you visit a produce stand selling golden or yellow zucchini. 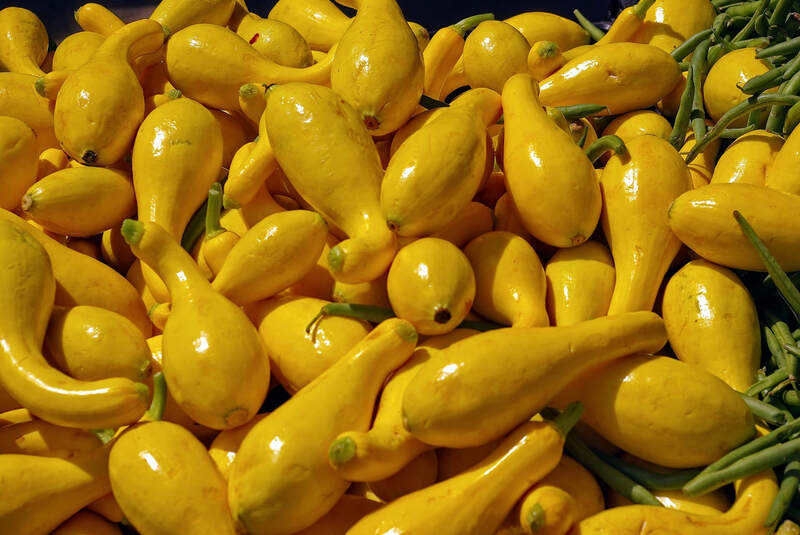 Yellow straight or crookneck summer squash are shaped differently than yellow or golden zucchini. The fruit is swollen on the blossom end and tapers to a narrow neck near the stem. 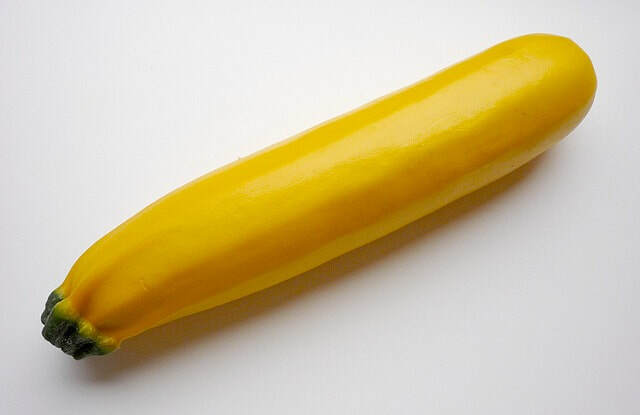 Yellow or golden zucchini is shaped like a green zucchini. The fruit is cylinder shaped and does not narrow at the stem end. Do Yellow Summer Squash and Yellow Zucchini Taste the Same? No. Golden or yellow zucchini does not have the nutty texture and flavor of yellow squash. 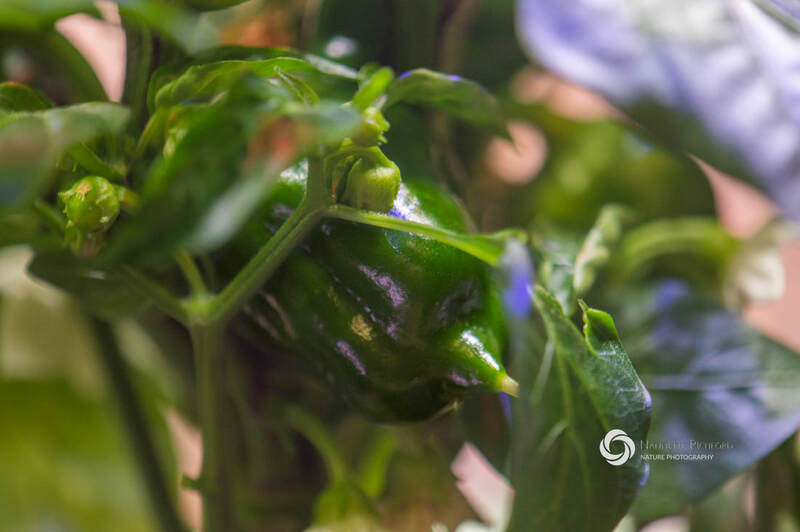 It tastes more like traditional green zucchini, but tends to be sweeter and a bit softer than many green varieties. 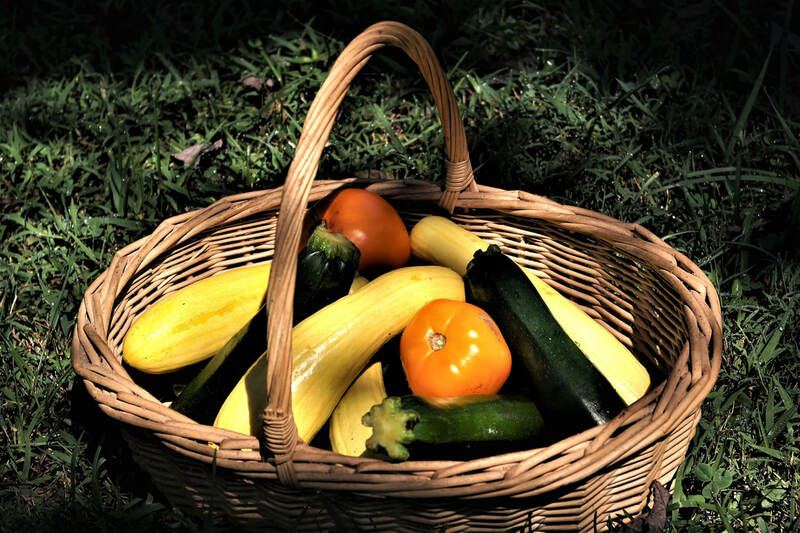 Golden or yellow zucchini can be cooked or eaten the same way as yellow summer squash and can be substituted in recipes, but will produce subtle changes in the flavor and texture of the recipe. Is It an Azalea or a Rhododendron? All azaleas are rhododendrons, but not all rhododendrons are azaleas. I've always struggled with identifying azaleas and rhododendrons. Just as soon as I thought I had it figured out I'd run across a nice pot of what I thought was azaleas and then discover the plant label said rhododendron. As it turns out there was a good reason for my confusion. 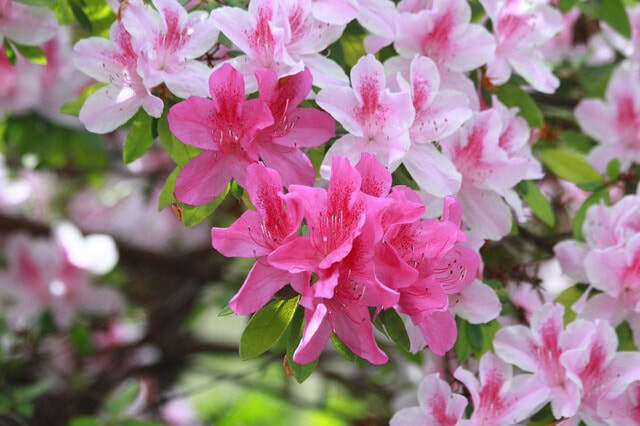 Azaleas and rhododendrons are not completely different plants. Azaleas are a species of rhododendron. In other words, all azaleas are rhododendrons, but not all rhododendrons are azaleas. I probably wasn't wrong when I thought I found a pot of azaleas, but the producer who labeled it as rhododendrons wasn't wrong either. This is one case where two opposing opinions can both be correct. 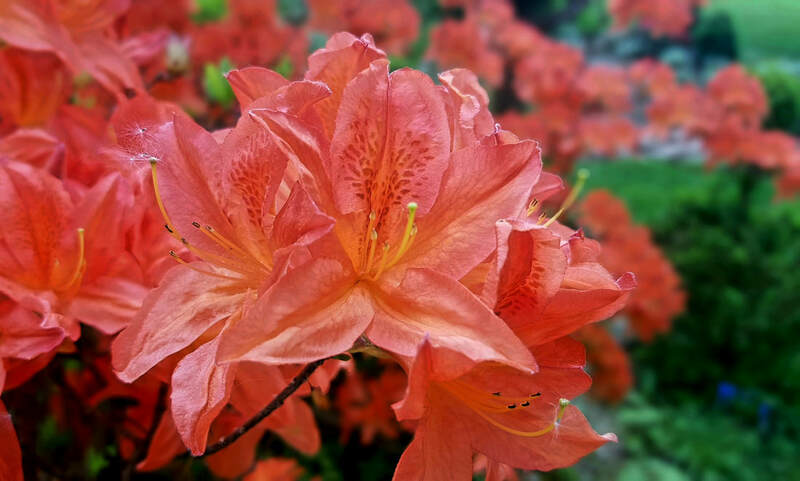 How Can You Tell If the Flower Is an Azalea? 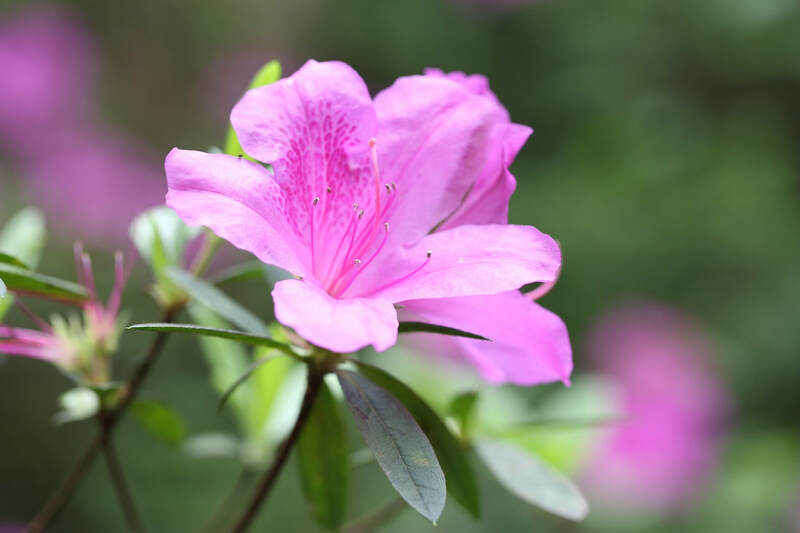 The main identifying characteristic of an azalea is the presence of 5 to 6 stamens in the center of the bloom while other rhododendrons typically have 10 (or more). 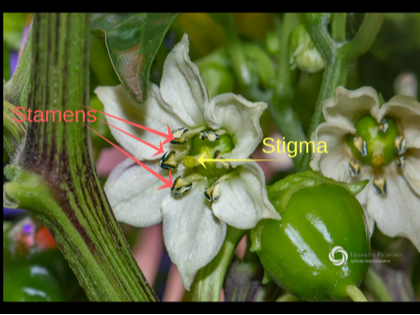 Stamens are the male part of a flower and look like a slender stem with pollen on the end. 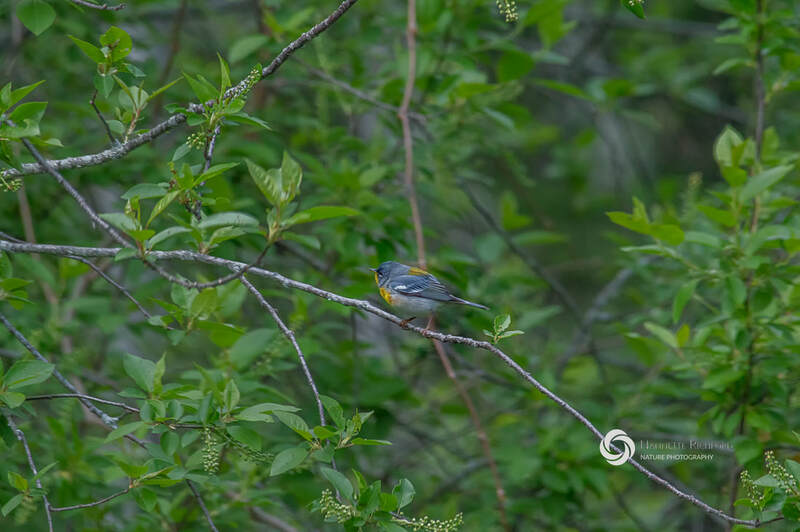 They are often brightly colored with yellow or orange pollen. This azalea has 5 yellow stamens. This rhododendron has 10 pink stamens. There are other clues, of course, but none of them are hard and fast rules. For example, many azaleas are deciduous (they lose their leaves in the fall) while many other rhododendrons are evergreen. However, some azaleas are evergreen and some rhododendrons are not, notes Gardenia. 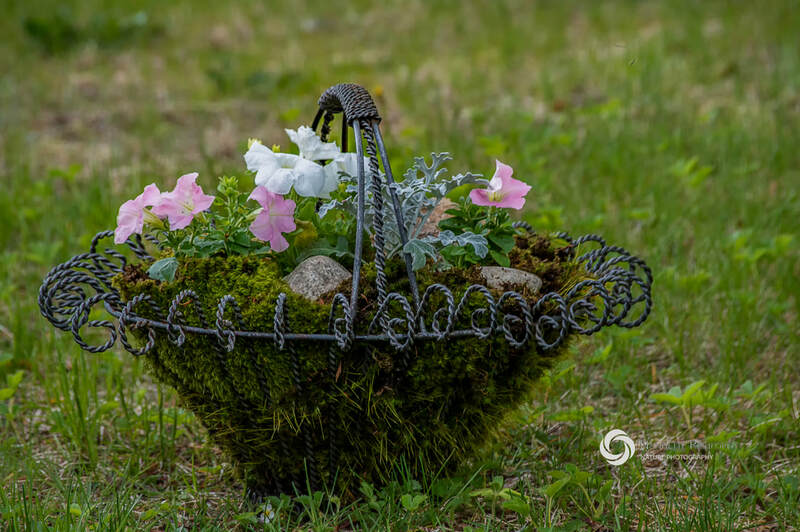 The presence of deciduous or evergreen foliage is not a reliable way to distinguish whether your shrub is an azalea or another species of rhododendron. As a general rule, azalea shrubs are smaller than other rhododendrons, but there are both large and small species of rhododendrons. Azaleas also typically have smaller leaves than traditional rhododendrons, but there are both small and large leaf rhododendrons, too. The size of the shrub or the size of the foliage is not always a reliable way to distinguish the two. 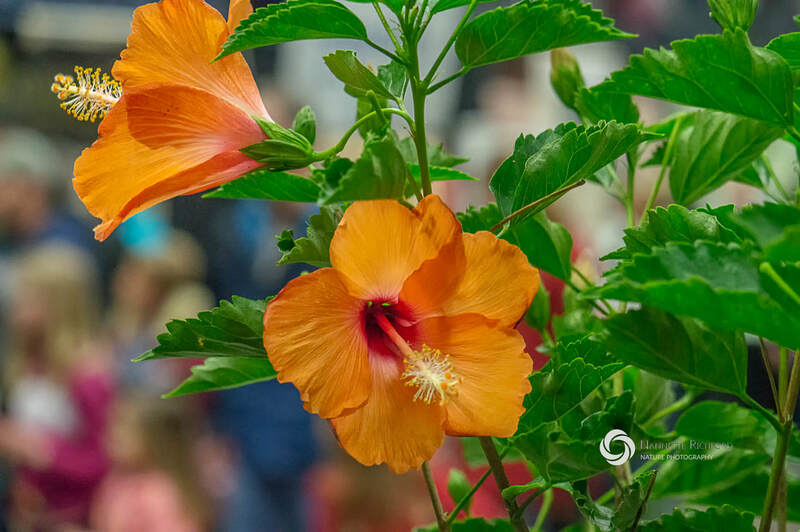 Both produce flowers in shades of white, pink, red, purple and peach with some varieties sporting yellow or orange blooms. They bring the garden bed to life in late spring or early summer. Whatever you choose to call them, these flowering shrubs produce a mass of color and are sure to brighten your garden bed. 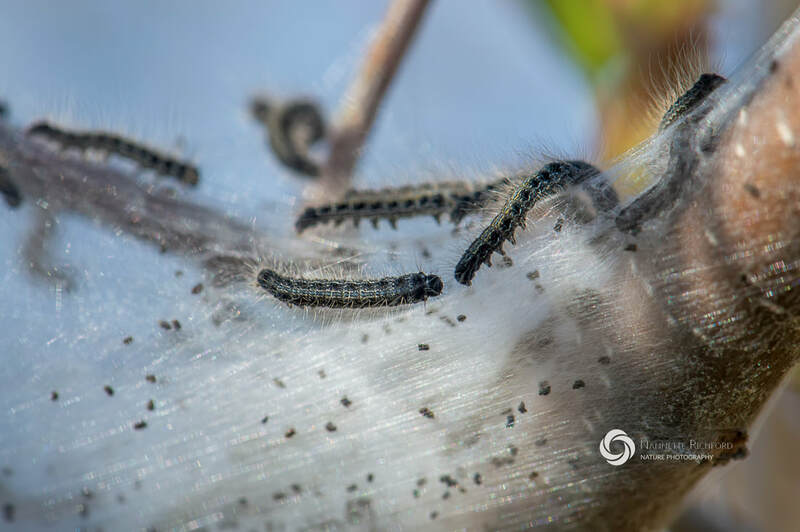 Whether you call them tent caterpillars or armyworms, these insect larvae can become a nuisance in home gardens and backyards. The nests appear in the spring and are filled with hundreds of tiny caterpillars. The caterpillars venture out of the nest to feed on the tree's leaves during early morning or late evening and return to the nest during the heat of the day. These caterpillars are Eastern Tent Caterpillars (Malacosoma americanum) and can be found throughout the eastern part of the U.S., including Maine. They are often referred to as armyworms, but this technically isn't true. According to Merriam Webster, armyworms can be any number of insects larvae that travel in groups and devour crops. Armyworms may devour your garden, but the Eastern Tent Caterpillar typically eats the foliage of the host tree. 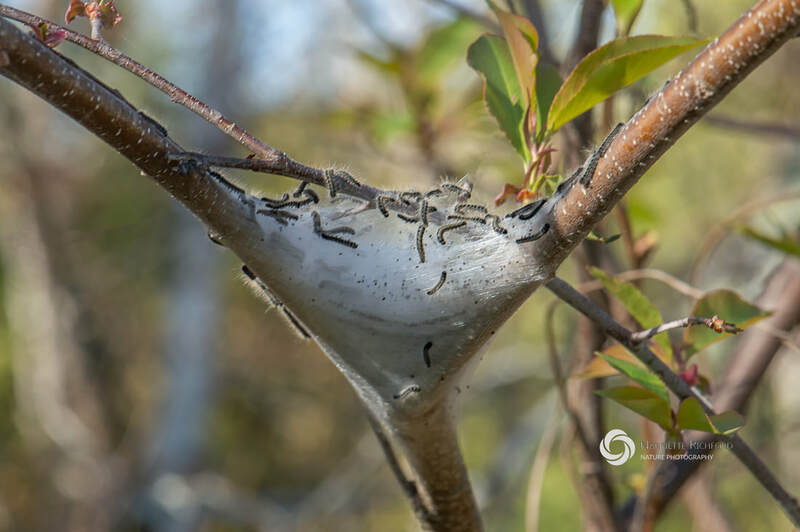 ​According to the University of Kentucky Entomology Department, the Eastern Tent Caterpillar nest increases in size for 4 to 6 weeks before the caterpillars leave the nest for good in search of a place to spin a cocoon and morph into small reddish-brown moths. While they do not always pose a problem for homeowners, there is a bumper crop of them them every few years. When this happens, they can defoliate host trees and can be found crawling on lawns, decks and even in the pool, making them a nuisance. 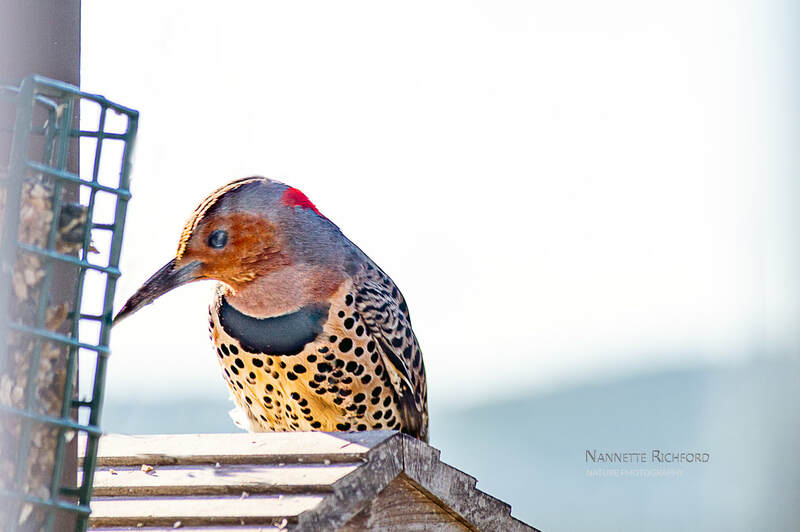 Getting rid of them can be a challenge once they have left the nest. Sometimes the easiest method of getting rid of tent caterpillars or armyworms is to physically remove the nest. If you catch them early when the caterpillars and nests are small, physical removal is easy. There are several variations of the oil and soap mixture as a natural pesticide. These formulas work because the soap helps the oil stick to the insect's body and blocks its breathing pores. It is unclear how cayenne pepper or ground cinnamon increases the effectiveness. While some sources claim you must use a true soap and avoid dish detergents that contain degreasers, others report success with Dawn Dish Detergent. ​​Mix 1 cup of canola (or other vegetable oil) oil, 1/4 cup of Dawn Dish Detergent, and a teaspoon of cayenne pepper (or ground cinnamon). Shake it up until it is well blended. The mixture will turn white. Fill a spray bottle or sprayer with the mixture. Spray the entire nest with the solution until it is saturated. Avoid spraying when the temperature is above 90 degrees as it may cause foliage to burn.